Accessing the web-based setup page of your router is necessary if you want to make configurations on your router’s settings to ensure improved security and performance. This article will show you how to access the web-based setup page of your Belkin Advance N900 DB Wireless Router. 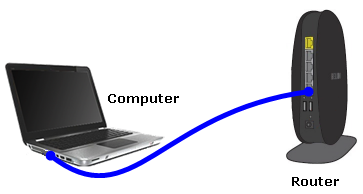 Connect your Belkin router to the computer using an Ethernet cable. On your computer, open a web browser (e.g. Internet Explorer, Mozilla Firefox). Enter “http://router” on the Address bar then press the [Enter] button on your keyboard. Alternatively, you can also enter “192.168.2.1” (the default IP address of your Belkin router) on the address bar instead. Click Login at the upper right-hand corner of the page. 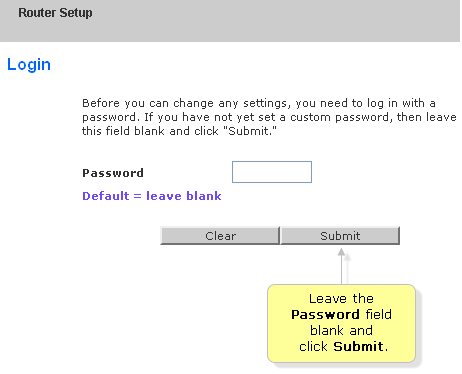 Once prompted to log in, leave the Password field blank and click the Submit button.